The World Economic Forum would like to thank the following organizations for their invaluable support of this Report. AirAsia, the leading and largest low-cost carrier in Asia, services the most extensive network with over 120 destinations. Within 15 years of operations, AirAsia has carried over 330 million guests and grown its fleet from just two aircraft to over 170. The airline is proud to be a truly ASEAN (Association of South East Asian Nations) airline with established operations based in Malaysia, Indonesia, Thailand, Philippines, India and Japan, servicing a network stretching across all ASEAN countries and beyond. AirAsia was named the World’s Best Low Cost Airline in the annual World Airline Survey by Skytrax for eight consecutive years from 2009–2016. AirAsia is the first airline globally to collaborate with INTERPOL to implement the I-Checkit system to screen the passports of all its prospective passengers against information contained in the world police body’s Stolen and Lost Travel Documents (SLTD) database. Our products and solutions help to improve the business performance of our customers; travel agencies, corporations, airlines, ground handlers, hotels, railways, car rental companies, airports, cruise lines and ferry operators. The Amadeus group employs around 14,000 people worldwide, across central sites in Madrid (corporate headquarters), Nice (development) and Erding (operations), as well as over 70 local Amadeus Commercial Organisations globally and has a presence in more than 190 countries. The group operates a transaction-based business model. Amadeus is listed on the Spanish Stock Exchange under the symbol “AMS.MC” and is a component of the IBEX 35 index. Bloom Consulting is an international consulting firm that specializes in Nation Branding and City Branding. Today, the firm’s headquarters are based in Madrid, Spain. Since 2003, Bloom Consulting has developed strategies for more than 50 destinations across Africa, Asia, Europe, Latin America and the U.S.A. The company works with political leaders and ministers with a clear objective in mind: to manage the Country Brand as a strategic asset from an economic and political point of view. Bloom Consulting annually publishes the Bloom Consulting Country Brand Ranking© for Trade and Tourism. The Ranking analyzes the brand performance of 180 countries and territories worldwide. Digital Demand – D2© is an intelligence software that gathers and analyzes the total amount of “searches” performed by global citizens towards any Country,Region or City.Digital Demand data allows destinations to measure their real interest, appeal and reputation in five dimensions: Export, Investment, Tourism, Talent or Prominence (Public Diplomacy). Every year, Digital Demand – D2© publishes the www.digitalcountryindex.com to reveal which countries are most searched online for these dimensions. As a leading professional services provider to the international travel, hospitality and leisure industry, Deloitte acts for owners, operators, developers, lenders and investors. Our clients have access to a fully integrated and sector-focused team, whose experience and knowledge of the travel, hospitality and leisure industry and the business imperatives facing our clients enables us to provide real insight in a timely manner. Through our unique global network of over 244,400 professionals at member firms in 150 countries and territories, we are able to work locally and globally to deliver services in audit, tax, consulting, financial advisory, risk advisory, and related services. In addition to auditing a number of the largest global travel, hospitality and leisure businesses, our commercial, financial and tax advisory teams have helped clients to acquire or sell a wide range of trophy assets, large portfolios and strategic investments in the sector. We also advise on debt raising, new development, business planning and corporate strategy. STR is the source for premium data benchmarking, analytics and marketplace insights. We provide data that is reliable, confidential, accurate and actionable, and our comprehensive solutions empower our clients to strategize and compete within their markets. Our range of products includes data-driven solutions, thorough analytics and unrivalled marketplace insights, all built to fuel business growth and help our clients make better operational and financial decisions. STR is continuously working to enhance our product offerings while shaping the future of industries. We maintain a presence in 16 countries, and collect data for over 55,000 hotels across 180 countries. For more information, please visit str.com. Emirates is the world’s largest international airline. From its hub in Dubai, Emirates connects people and economies around the globe, by inspiring travel and facilitating trade across 154 destinations in 83 countries. On board its modern and efficient fleet of 250 aircraft, Emirates offers award-winning comfort and service, delivered by friendly cabin crew representing over 130 nationalities. Today, Emirates operates the world’s largest fleets of the iconic A380 and popular Boeing 777s, and has an order book for another 230 more of these modern jets. Through its global operations and order book, Emirates has a direct economic impact in the markets it serves, and supports hundreds of thousands of jobs in the aviation and tourism supply chain. Etihad Aviation Group (EAG) is a diversified global aviation and travel group comprising four business divisions–Etihad Airways, the national airline of the United Arab Emirates, Etihad Airways Engineering, Hala Group and Airline Equity Partners. The group has minority investments in seven airlines: airberlin, Air Serbia, Air Seychelles, Alitalia, Jet Airways, Virgin Australia, and Swiss-based Darwin Airline, trading as Etihad Regional. From its Abu Dhabi base, Etihad Airways flies to, or has announced plans to serve, over 110 passenger and cargo destinations in the Middle East, Africa, Europe, Asia, Australia and the Americas. The airline has a fleet of more than 120 Airbus and Boeing aircraft, with 204 aircraft on firm order, including 71 Boeing 787s, 25 Boeing 777Xs, 62 Airbus A350s and 10 Airbus A380s. Grupo Iberostar is a 100% family-owned multinational company, firmly positioned at the forefront of the tourism sector. For the past 60 years, Grupo Iberostar has worked rigorously to offer its customers unique and memorable experiences, based on an outstanding service in the world’s finest destinations and innovation through the responsible development of new concepts, always striving for mutual benefit with its stakeholders. Gulfstream Aerospace Corporation, a wholly owned subsidiary of General Dynamics (NYSE: GD), designs, develops, manufactures, markets, services and supports the world’s most technologically advanced business-jet aircraft. Gulfstream has produced more than 2,500 aircraft for customers around the world since 1958. Gulfstream offers a comprehensive fleet of aircraft comprising the Gulfstream G280, G500, G550, G600, G650 and G650ER. Hilton is a leading global hospitality company, with a portfolio of 14 world-class brands comprising nearly 4,900 properties with more than 796,000 rooms in 104 countries and territories. Hilton is dedicated to fulfilling its mission to be the world’s most hospitable company by delivering exceptional experiences—every hotel, every guest, every time. The company’s portfolio includes Hilton Hotels & Resorts, Waldorf Astoria Hotels & Resorts, Conrad Hotels & Resorts, Canopy by Hilton, Curio – A Collection by Hilton, DoubleTree by Hilton, Tapestry Collection by Hilton, Embassy Suites by Hilton, Hilton Garden Inn, Hampton by Hilton, Tru by Hilton, Homewood Suites by Hilton, Home2 Suites by Hilton and Hilton Grand Vacations. The company also manages an award-winning customer loyalty program, Hilton HHonors®. Visit news.hiltonworldwide.com for more information and connect with Hilton on Facebook, Twitter, LinkedIn, Instagram and YouTube. HNA Group was established in 1993 and has a history of over 20 years. It grew and prospered against the backdrop of the reform and opening up in China. It developed from a local aviation transportation operator to a corporate group encompassing pillar industries of aviation, holdings, finance, tourism and logistics. Its business outreach has expanded from Hainan Island—the South Sea Pearl—to the globe. It has assets valued at RMB 600 billion, and has 24 listed companies. It has revenues of around RMB 190 billion in 2015 and provides nearly 200,000 jobs worldwide. After 20 years’ endeavor, HNA Group has emerged among the Top 4 in China’s aviation industry and ranks 353th among Fortune 500 in 2016. The International Air Transport Association (IATA), founded in April 1945, is the prime vehicle for inter-airline cooperation in promoting safe, reliable, secure, and economical air services. The International Air Transport Association (IATA) is the global trade association for the airline industry. Our 265 member airlines comprise 83% of total air traffic. IHG franchises, leases, manages or owns nearly 5,100 hotels and more than 750,000 guest rooms in almost 100 countries, with nearly 1,500 hotels in its development pipeline. IHG also manages IHG® Rewards Club, the world’s first and largest hotel loyalty programme, with nearly 99 million members worldwide. InterContinental Hotels Group PLC is the Group’s holding company and is incorporated in Great Britain and registered in England and Wales. More than 350,000 people work across IHG’s hotels and corporate offices globally. Jet Airways is India’s premier international airline that took to the skies in 1993 and operates flights to 67 destinations, including India and overseas. Jet Airways’ robust domestic India network across 47 cities, spans the length and breadth of the country covering metro cities, state capitals and emerging destinations. Beyond India, Jet Airways operates flights to 20 key international destinations in South East Asia, South Asia, Middle East, Europe and North America. The Jet Airways Group currently operates a fleet of 117 aircraft, comprising Boeing 777-300 ERs, Airbus A330-200/300, Next Generation Boeing 737s and ATR 72-500/600s. With an average age of 7.33 years, this is one of the youngest fleets in the region. Experience ultimate luxury in private suites in First Class, fully-flat beds in Premiere and extra comfort in Economy with Jet Airways signature Indian hospitality. Jumeirah Group, the global luxury hotel company and a member of Dubai Holding, operates a world-class portfolio of hotels and resorts, including the flagship Burj Al Arab. Jumeirah Hotels & Resorts are regarded as among the most luxurious and innovative in the world and have won numerous international travel and tourism awards. The company manages properties in Dubai and Abu Dhabi, UAE, and Kuwait in the Middle East; Baku, Frankfurt, Istanbul, London and Mallorca (Spain) in Europe; the Maldives and Shanghai in Asia. Jumeirah Group also runs the luxury serviced residences brand Jumeirah Living, with properties in London and Dubai; the new contemporary lifestyle hotel brand Venu; the wellness brand Talise; Jumeirah Restaurants; Wild Wadi Waterpark; The Emirates Academy of Hospitality Management; and Sirius, its global loyalty programme. Future openings include luxury and lifestyle hotels in China, India, Indonesia, Jordan, Oman, Russia and the UAE. Marriott International, Inc. (NASDAQ: MAR) is the world’s largest hotel company based in Bethesda, Maryland, USA, with more than 5,700 properties in over 110 countries. Marriott operates and franchises hotels and licenses vacation ownership resorts. The company’s 30 leading brands include: Bulgari®, The Ritz-Carlton® and The Ritz-Carlton Reserve®, St. Regis®, W®, EDITION®, JW Marriott®, The Luxury Collection®, Marriott Hotels®, Westin®, Le Méridien®, Renaissance® Hotels, Sheraton®, Delta Hotels by MarriottSM, Marriott Executive Apartments®, Marriott Vacation Club®, Autograph Collection® Hotels, Tribute Portfolio™, Design Hotels™, Gaylord Hotels®, Courtyard®, Four Points® by Sheraton, SpringHill Suites®, Fairfield Inn & Suites®, Residence Inn®, TownePlace Suites®, AC Hotels by Marriott®, Aloft®, Element®, Moxy® Hotels, and Protea Hotels by Marriott®. The company also operates award-winning loyalty programs: Marriott Rewards®, which includes The Ritz-Carlton Rewards®, and Starwood Preferred Guest®. For more information, please visit our website at www.marriott.com, and for the latest company news, visit www.marriottnewscenter.com and @MarriottIntl. As market leader in enterprise application software, SAP (NYSE: SAP) helps companies of all sizes and industries run better. From back office to boardroom, warehouse to storefront, desktop to mobile device—SAP empowers people and organizations to work together more efficiently and use business insight more effectively to stay ahead of the competition. SAP applications and services enable approximately 320,000 business and public sector customers to operate profitably, adapt continuously, and grow sustainably. For more information, visit www.sap.com. SpiceJet is an Indian airline which commenced its operations in May 2005. The airline carried 14.2 million passengers in 2016, making flying more affordable for more Indians than any other. SpiceJet operates 336 average daily flights to 45 destinations, including 39 domestic and 6 international ones among the neighboring Asian countries. SpiceJet has been consistently profitable and achieved the highest passenger load factor in India since April 2015, recording 90% plus month on month. The airline connects its destinations with a fleet of 32 Boeing 737NG aircraft and 17 Bombardier Q-400s, with a majority of the airline’s fleet offering SpiceMax, the most spacious economy class seating in India. SpiceJet has confirmed an order of 205 Boeing aircrafts in January 2017. 2016 perched SpiceJet high on the global pedestal, with the brand having received multiple honors and recognitions including the ‘World Travel Leaders Award’ at the WTM London, ‘Best Check- in Initiative’ award by Future Travel Experience global awards in Las Vegas, ‘Best Employee Engagement’ amongst 104 corporate entries at the 4th DMA, Best Transportation brand as well as the Best Airline Brand in India by Brand Trust Report. SpiceJet, headquartered in Gurgaon is a listed company on the Bombay Stock Exchange (BSE). The company’s current growth and strategy are derived from a deep understanding of economic stimuli and customer needs, and the ability to translate them into customer-desired offerings through cutting-edge products, enhanced connectivity, stellar on-time performance, and superior technical knowledge and expertise. Known for its path-breaking innovations in operational efficiency, customer experience and pricing strategies, SpiceJet, in sync with its corporate vision, today stands tall as India’s favorite airline, offering the best value proposition, thereby fulfilling everyone’s dream of flying. Swiss International Air Lines (SWISS) is the airline of Switzerland, serving 100 destinations in 44 countries from Zurich and Geneva and carrying more than 16 million passengers a year with its 95-aircraft fleet. The company’s Swiss WorldCargo division provides a comprehensive range of airport-to-airport airfreight services for high-value and care-intensive logistic solutions to around 130 destinations in over 80 countries. As the airline of Switzerland, SWISS embodies the country’s traditional values, and is committed to delivering the highest product and service quality. With its workforce of 8,564 personnel, SWISS generated total operating income of CHF 5 billion in 2015. SWISS is part of the Lufthansa Group, and is also a member of Star Alliance, the world’s biggest airline grouping. The World Tourism Organization (UNWTO; www.UNWTO.org) is the United Nations agency responsible for the promotion of responsible, sustainable and universally accessible tourism. As the leading international organization in the field of tourism, UNWTO promotes tourism as a driver of economic growth, inclusive development and environmental sustainability and offers leadership and support to the sector in advancing knowledge and tourism policies worldwide. UNWTO encourages the implementation of the Global Code of Ethics for Tourism, to maximize tourism’s socio-economic contribution while minimizing its possible negative impacts, and is committed to promoting tourism as an instrument in achieving the Sustainable Development Goals (SDGs), geared towards reducing poverty and fostering sustainable development worldwide. UNWTO’s membership includes 157 countries, 6 Associate Members and more than 500 Affiliate Members. 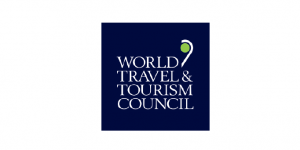 The World Travel & Tourism Council is the global authority on the economic and social contribution of Travel & Tourism. WTTC promotes sustainable growth for the Travel & Tourism sector, working with governments and international institutions to create jobs, to drive exports and to generate prosperity. Council Members are the Chairs, Presidents and Chief Executives of the world’s leading private sector Travel & Tourism businesses. WTTC produces annual research that shows Travel & Tourism to be one of the world’s largest sectors, supporting over 294 million jobs and generating 10.2% of global GDP in 2016. Comprehensive reports quantify, compare and forecast the economic impact of Travel & Tourism on 185 economies around the world. In addition to the individual country reports, WTTC produces a world report highlighting global trends and 24 further reports that focus on regions, sub-regions and economic and geographic groups. The Travel & Tourism Competitiveness Report 2017 is published by the World Economic Forum within the framework of the Economic Growth and Social Inclusion System Initiative and the Future of Mobility System Initiative. A special thanks goes to the Global Competitiveness and Risks team. The terms country and nation as used in this report do not in all cases refer to a territorial entity that is a state as understood by international law and practice.